The research activities of the Department of Emergency Neurology are focused on examination of patients with cerebrovascular diseases, particularly those with acute stroke (AS), patients with crises of consciousness of unknown and rarely manifest etiology as well on other entities in the field of emergency neurological conditions. A national study intended at registering of all AS patients who have received thrombolytic therapy is in progress (SETIS - Serbian Experience with Thrombolysis in Ischemic Stroke, National coordinator Dr. D. Jovanović). Additionally, the department also participates in the International SITS-IST Study that monitors patients subjected to thrombolytic therapy (National Coordinator Dr. LJ. Beslać-Bumbaširević). Investigations into the oxidative stress role in etiopathogenesis of epileptic seizures and cerebrovascular diseases is also in progress. Causes and prognosis in young patients with stroke are also a part of research activities of doctors working at the department as well as onset of the disease in women, particularly during pregnancy and puerperium. The scope of research also includes strokes in the region of basilar artery, diagnosis of brain death, caused and prognosis in neurological patients with respiratory failure. Epidemiological study of cerebrovascular diseases on the territory of Belgrade have been recently completed. 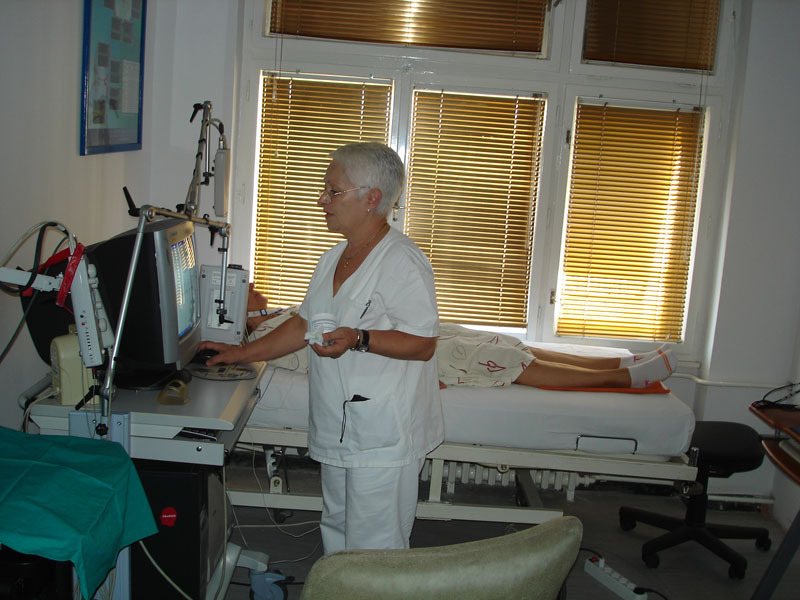 Dr. Ljiljana Beslać-Bumbaširević and Dr. Dejana Jovanović are engaged in systematized education of doctors and nurses for work in the Stroke Unit and application of thrombolytic therapy. Within the continuous education program carried out at Faculty of Medicine, they organize several workshops each year dedicated to application of thrombolysis in stroke. Owing to the continuous education courses that were attended by more than 60 physicians from Serbia, Montenegro and Republic of Srpska, the therapeutic procedure is currently applied in 8 centers in Serbia and Republic of Srpska.